Citizen Science! The Verdict Is In! Just kidding. C’mon folks. The smallest bit of Googling… At least he doesn’t seem to have hurt himself. NEVER connect electrodes directly to a 9 volt battery. Sticky (TENS) electrodes are HIGHLY not recommended. Based on his perception of the Sally Adee article/study featured on RadioLab 9-Volt Nirvana episode, YouTuber TheCharmIsGlobal attempted to replicate the experience in an experiment he called, “TDCS EXPERIMENT WITH CALL OF DUTY: BLACK OPS III” The 43 minute video is mostly onscreen playing of Call Of Duty, but he starts the video with a discussion of tDCS, applies tDCS as shown above at around 10:40, and declares victory at 42:50. So the verdict is in, yeah, it does work! It really does work! That clarity was emotionally profound: For days after the treatment, her mind was free of the nagging voices of self-doubt and fear that she realized she lived with daily. 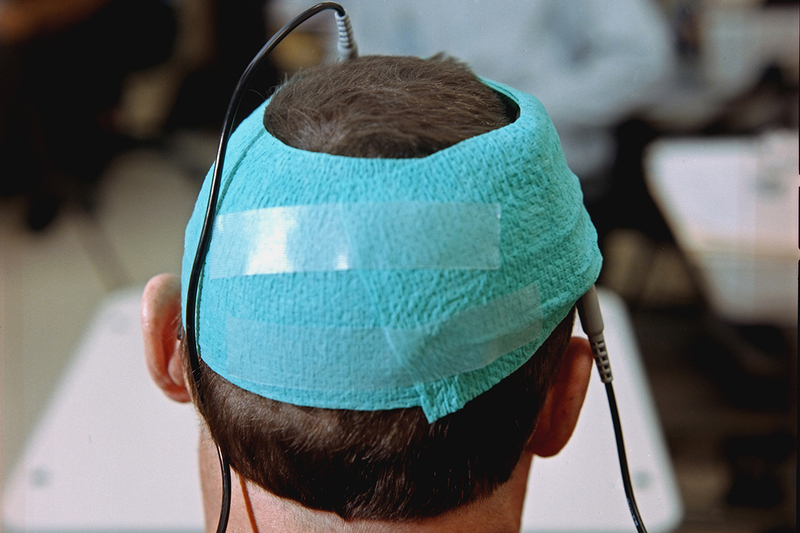 via This Procedure May Improve Your Brain — and Uncover the Real You – NYTimes.com. via 9-Volt Nirvana – Radiolab. That is why I’m now allowing Michael Weisend, who works at the Mind Research Network in Albuquerque, New Mexico, to hook my brain up to what’s essentially a 9-volt battery. He sticks the anode – the positive pole of the battery – to my temple, and the cathode to my left arm. 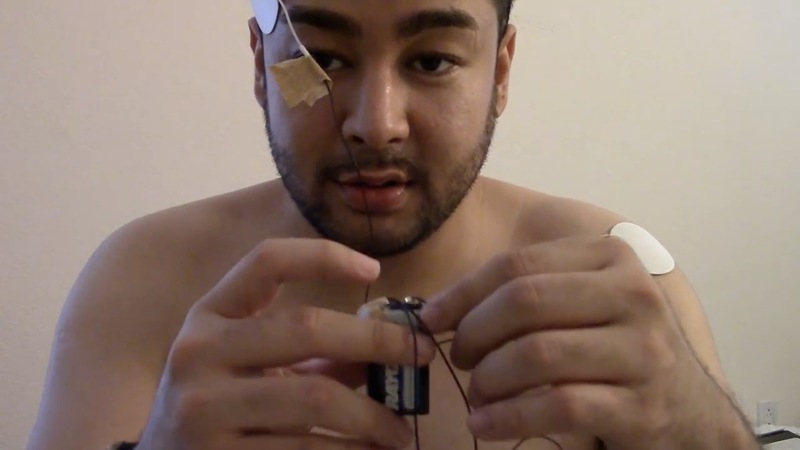 “You’re going to feel a slight tingle,” he says, and warns me that if I remove an electrode and break the connection, the voltage passing through my brain will blind me for a good few seconds. via Zap your brain into the zone: Fast track to pure focus – life – 06 February 2012 – New Scientist.